Inspired by the graceful curves of the beach, the Shoreline Sling Double Glider boasts graceful arm supports and a sturdy well-crafted aluminum frame, which offers durability and ergonomic support. Shoreline Sling Outdoor Patio Furniture features designer fabrics slung across the seat and back frame to provide full-body support. 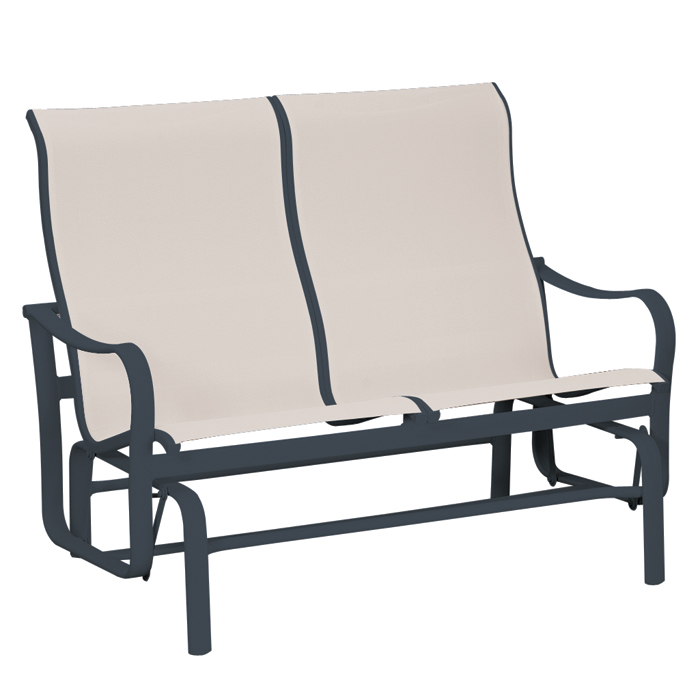 The modern version of the porch swing, the Shoreline Sling Double Glider is a must have staple for any outdoor setting.